Arrive at Bangkok International Airport. After clearing customs, visa processing and baggage claims, board your connecting flight to Phuket. Upon arrival at Phuket Airport, meet our local tour coordinator who will meet and greet you at the specified area and transfer you to the hotel. Check-in at the hotel and relax. Phuket is a beautiful island. Stroll along the sea or explore its local markets. Get acquainted to your nearby areas and enjoy Phuket’s local delicacies. Later return to hotel for catching a relaxed sleep to charge for the next day. Rise to a beautiful morning and have your fill at breakfast. 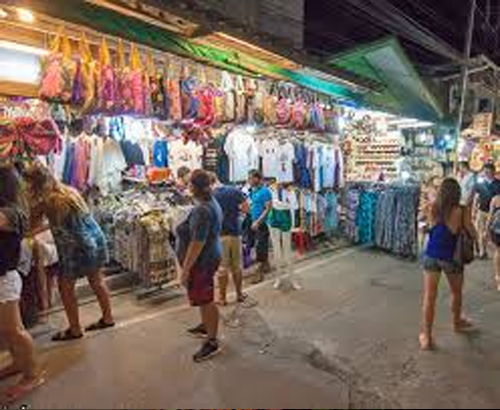 Set out for Phuket City tour to see the best city attractions. Drive along the most spectacular beach roads via Patong, Karon and Kata beaches. Enjoy numerous fun activities at Patong beach and walk along its lovely crescent bay. Relish fresh seafood at the local stalls. Enjoy at the beautiful Karon beach and dive into the warm sea waters at Kata Island to witness the awe-striking coral reef. Visit the extreme south end of Phuket, Promthep Cape to see the majestic sunset views over the ocean. Later visit the famous Rawai beach and finish the tour with a visit to Chalong Temple. Later return to hotel and relax. Evening is at your own leisure. Today you can opt for the famous Phuket Fantasea Show at night (at an extra cost). It is very enjoyable night theme park that depicts the rich and ancient Thai culture. Enjoy buffet dinner and later return to hotel. Stay overnight at hotel in Phuket. Take your fill at breakfast early this morning, pack your bags and check out from the hotel. Today we bid goodbye to Phuket and further our vacation to a much more exotic and beautiful destination- Krabi (By Surface / Ferry). On arrival at Krabi, check in to your hotel (Standard Check in time: 1400 - 1500 hours) and relax. Rest of the day is free at your own leisure. In the evening you can go out and get acquainted to your nearby areas and relish some freshly made cuisines at local seaside restaurants. Later return to hotel and sleep relaxed. Stay overnight at hotel in Krabi. Wake up to a beautiful morning and enjoy a relaxed breakfast. Proceed for Krabi City Tour to know the island better and cover its major highlights. Rest day at your leisure At Krabi, you are in an otherworldly region where time seems to stand still and the days are at your service. You are the master of your time here. Spend the day in your own preferred way. Laze on the secluded beaches and explore the marine life by snorkeling or sea diving in crystal clear azure waters. Krabi is an extra ordinarily beautiful place to witness the stunning beauty of sunset. Capture the romantic hues in the camera to cherish afterwards. Later return to the hotel. Another morning in such a beautiful paradise! Calm, serene, heavenly. Wake up early, jog along the sea and welcome the sun with wide open arms. You’d know how beautiful this life is. Get fresh and treat your belly with morning breakfast. The day is free at your own leisure. Explore the hidden treasures of Krabi like its exotic hot springs, wildlife sanctuary, dark sea caves, limestone cliffs, or dive into the inviting water to witness flourishing coral reefs and exotic marine life. If that’s what you did yesterday, you can go for an Island Hopping Tour (at an extra cost) to visit the nearby islands as well. It is an extremely interesting Four Island Tour that takes you to Ko Poda, Ko Gai (Chicken Island), Pranang Beach and Ko Tub. Tub Island is world famous for its sweeping sand bar that takes you to Railay peninsula. Walking over this sand bar that joins two islands is the most unique attraction of the trip. After the day is over, enjoy a peaceful sleep in your hotel. Soak the magical beauty of Krabi in your eyes, mind and camera. Today after morning breakfast at hotel, check out and catch your transfer to the airport for your flight to Bangkok. From Bangkok Airport, board your return flight to Delhi.